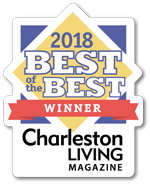 While homes and businesses can be infested with either drywood termites or subterranean termites, there is a major difference between the two. While subterranean termites live underground and burrow their way to their food source, drywood termites actually live inside of the wood that they eat. This means our experts need to determine which termites are affecting your structure before we treat them. 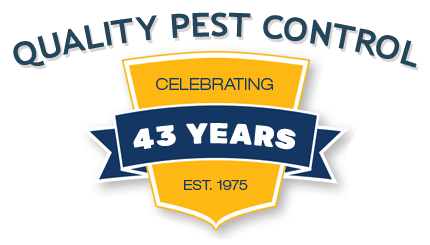 At Ledford’s Pest Control company, our drywood termite treatment of choice is Termidor’s DRY Termiticide. This type of treatment is appiled directly to the infested wood and is not a liquid application, which means it won’t saturate and compromise the termites’ home. This is important because the termites stay put and the treatment is able to do its job to eliminate them. 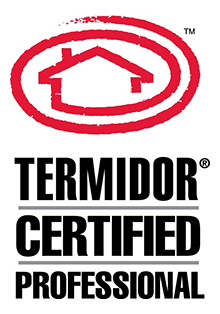 Termidor treatments are undetectable and produce a “transfer effect,” which means when a termite comes into contact with the treatment, it becomes a carrier and can transfer the treatment to any other termite it touches. This helps to spread the treatment out among the colony and ensure that all termites are eliminated. Instead of Termidor, our pest control company may turn to Nisus for drywood termite treatment and a product called Bora-Care. Bora-Care is made with borate salt that doesn’t break down and instead, provides long-lasting protection and residual performance against drywoods. Once the drywood is treated, the termites that live inside will begin to ingest the borate salt, which acts as a poison. Just like the Termidor treatment, termites can transfer Bora-Care to others in the colony and eventually eliminate them.